T-handle screwdriver with AO connector. Big T-handle 23x116mm Silicon length. 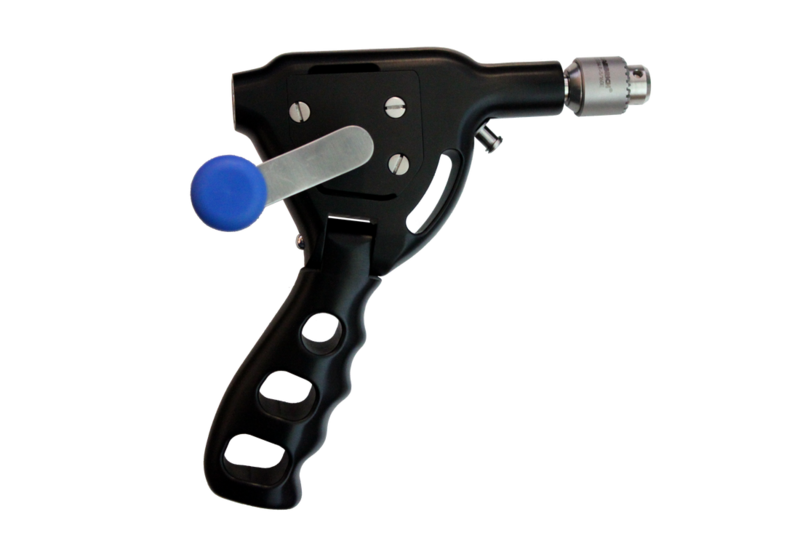 Handlecap turnable, handle ultramarine blue. Tap handle for dental shaft. 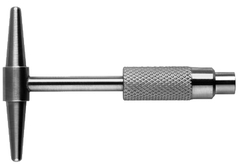 Screwdriver 6mm width with sterilizable ferrocell handle. Screwdriver 3mm width with sterilizable ferrocell handle. Screwdriver 4mm width with sterilizable ferrocell handle. Screwdriver hex, 2,5 with sterilizable ferrocell handle. tip width: 6mm-hex with universal joint. Cross slit screwdriver with sterilizable ferrocell handle. Screwdriver phillips with anodised aluminium handle. Fig. 0 cross slit. Length: 25 cm | 9,84"
Screwdriver 6mm width with anodised aluminium handle. Lane screw driver with sterilizable ferrocell handle, 6mm tip. Screw holding sleeve 1. 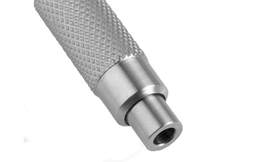 1/2"
Self holding sleeve 1,5mm for cross slit and hex screwdriver. Screw holding sleeve Schraubenhaltehülse 3" for cannulated screws Ø3,5/4,0. divided for screwdriver hex. 2,5mm. Screw holding pincers for 1,5-2,8mm screws. Screw holding pincers for 1,5-2,7mm screws. Screw holding pincers for 3,5-6,5mm Screws.